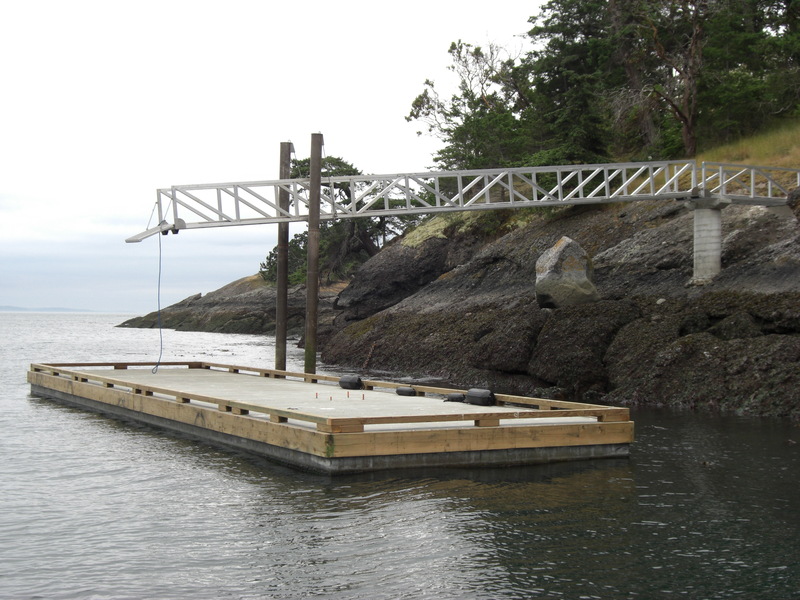 Island Marine Construction Services Ltd. is Vancouver Island and the Gulf Island’s premier dock builder, providing all dock construction solutions from permit to completion. We specialize in building durable dock systems for exposed locations and for high-bank waterfront. We design and build the highest quality timber and concrete floats, aluminum ramps, timber and aluminum walkways, counterbalance systems, moorings and marine railways. Our services include permit management, steel and timber pile driving and drilling, aluminum and steel welding, dock and chain maintenance, and crane services for both land and sea. We pride ourselves in working on time and on budget and in creating dock systems that are both pleasing to the eye and built to last. We pay close attention to detail and ensure that our clients are pleased with the final result. View the gallery of completed projects and see why 90% of our dock construction projects come to us by word-of-mouth and from previous clients. Centrally located on Salt Spring Island, British Columbia, Island Marine Construction is your number one choice for dock construction in and around the Vancouver Island and the Gulf Islands.